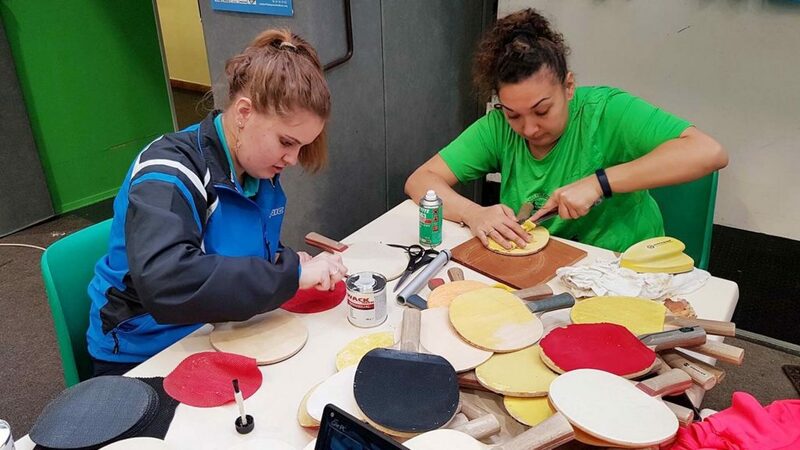 Popular, universal and inclusive; they are the three principles on which the 2018 World Table Tennis Day was based. However, Friday 6th April was also a day to raise awareness for our sport, to have a fun and promote solidarity through table tennis. Ping Sans Frontières (PSF) took the theme to its heart. A non-profit making organisation, PSF was founded by Sarah Hanffou, a member of the Cameroon national team. She competed at the London 2012 Olympic Games and later in 2015 won the Athletes in Excellence Award presented by the Foundation for Global Sports Development. For the World Table Tennis Day, the Auxi le Château club under the guidance of Laurent Huyghe, PSF Secretary, organized a solidarity tournament. Notably present for the 10th edition of the tournament was Christophe Legout, the former French national champion and a current PSF sponsor. He spent time with participants and also took part in the competition. During the tournament, players were also invited to restore rackets, which will be donated to worthy participants on future PSF missions. At the end of the day, €200 was raised for future PSF projects. Meanwhile, as the solidarity tournament was being staged, Sara Hanffou was present for the main celebration at the Za’atari Refugee Camp on the Jordan border with Syria. PSF made a major equipment donation and intends to work closely with the newly established ITTF Foundation, a concept promoting solidarity through sport. 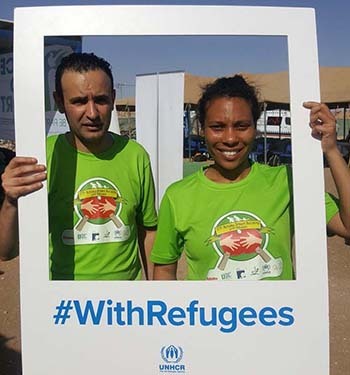 Following the activities in Jordan, on Saturday 14th April an event was organized for the benefit of refugees living in the Paris area in partnership Emmaüs Solidarité Paris. Manin Sport Paris East contributed tables to the event and PSF made a donation of material. Now, in the immediate future, Ping Sans Frontières will continue its activities at the Decathlon La Garde in Toulon as well as at Para event in Nîmes and at the Liebherr World Team Championships in Halmstad, Sweden. In Halmstad, PSF hopes to meet various partner federations and discuss the implementation and continuity of international projects.